Summer is a great season for get-togethers, outdoor summer events, and everything in-between. It’s the perfect time to enjoy fresh, in-season produce and juicy meats on the grill. Today, I want to show you an easy grilling recipe that can be prepared and cooked with little effort, and makes for a fun meal for any of the above events, or even a camping trip. 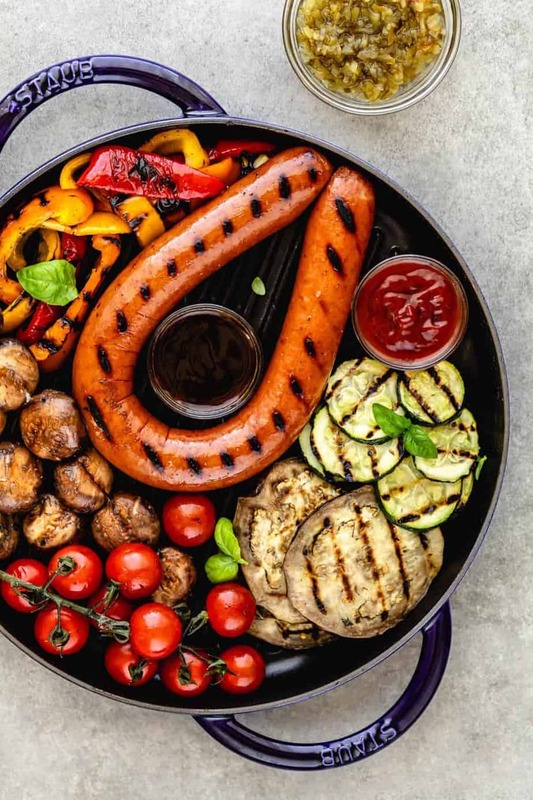 This summer grilling idea contains fresh summer vegetables and delicious Hillshire Farm® Smoked Sausage. 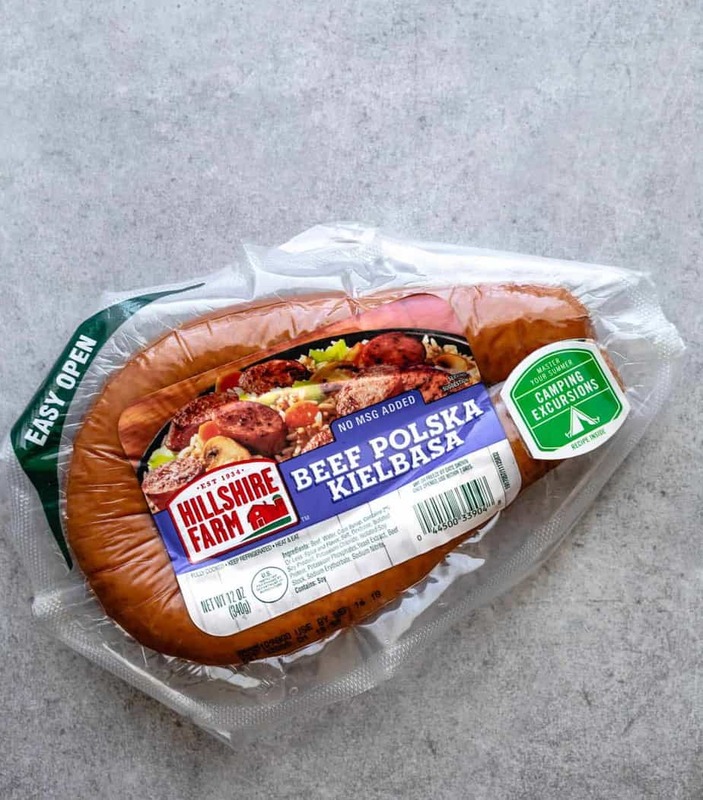 Hillshire Farm smoked sausage is fully cooked and made from high-quality cuts of beef that is seasoned with natural spices. 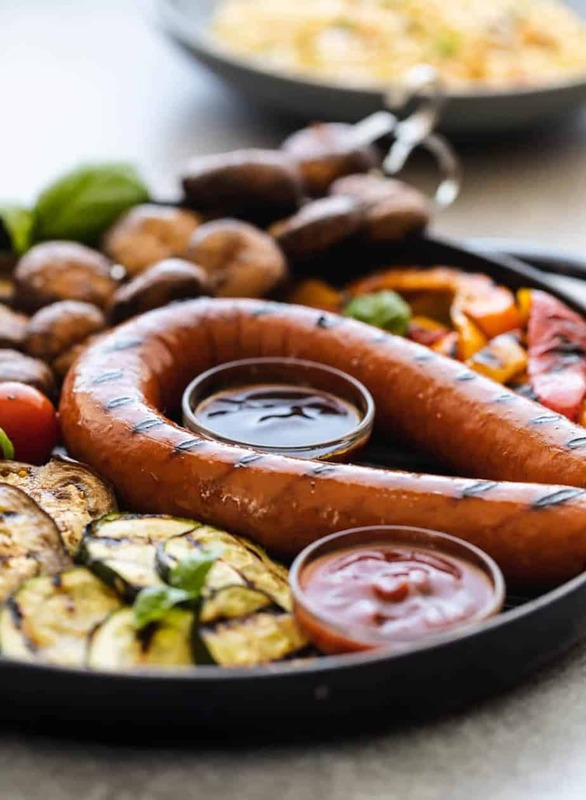 This sausage product would be a great addition to your summer BBQ because it can be easily grilled over medium-high heat for about 12-14 minutes; almost the exact amount of time you need to grill summer vegetables. It has a consistent, great taste no matter how you serve it. It will surely please the crowd and you can always use the leftover meats for recipes like jambalaya, stews, soups and more. I’ve gotten a lot better over the last couple of years at becoming a master of the grill (or maybe a junior master… some people take their grilling titles very seriously!). Everyone in my family likes being outside and enjoying the summer afternoons and evenings. My kids are old enough to run around on their own a bit more now so I have enjoyed throwing on the apron and getting my grill hands dirty. 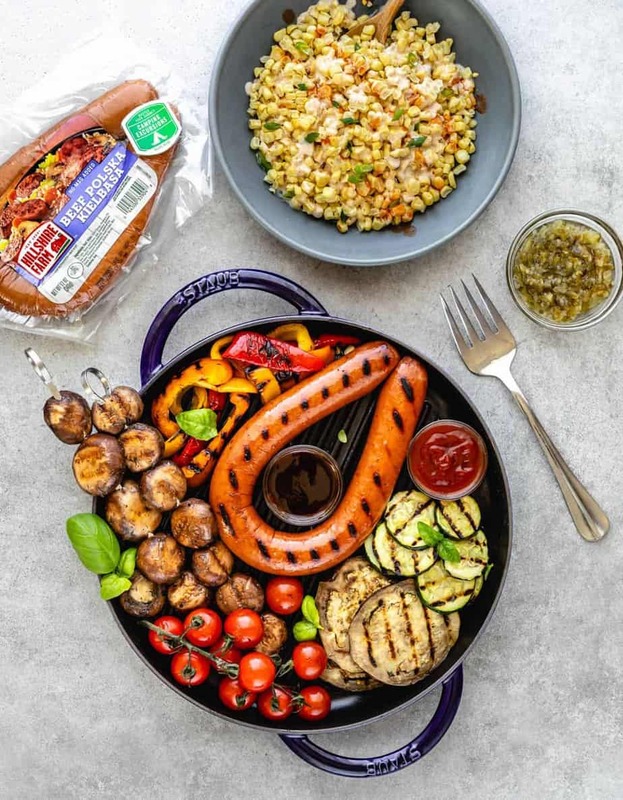 With Hillshire Farm smoked sausage, you can serve tasty grilled meat without spending too much time in the kitchen. It’s so flavorful and I love that no extra seasoning is needed. The cooking is stress-free since it’s fully cooked so you don’t have to worry about cooking to a certain temperature. That makes it easier to manage your other ingredients, like veggies. In the kitchen and especially on the grill, it is great to be able to manage all of the things you’re cooking up. This is one of those winning products that tastes great but also makes it easy to focus on the meal as a whole, since it’s low maintenance. 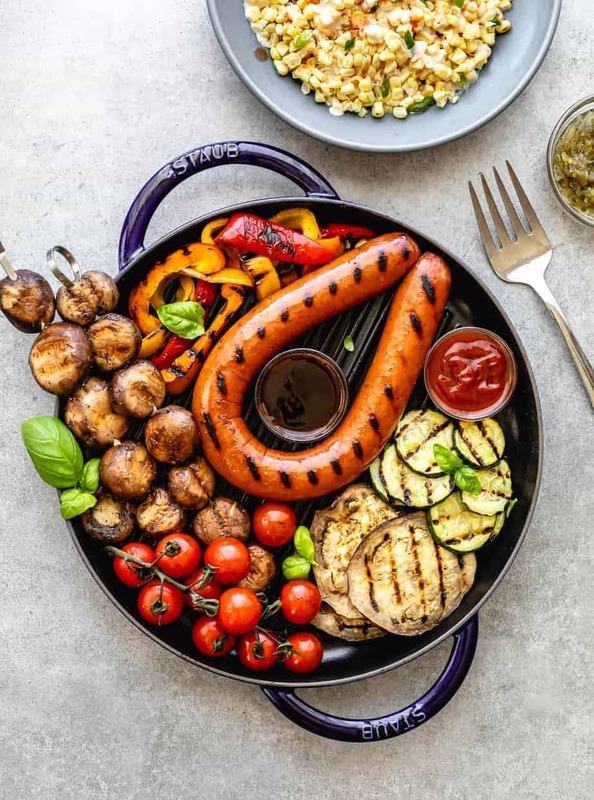 On that note, onions, bell peppers and tomatoes are three ingredients that go extremely well with Hillshire Farm smoked sausage. You can purchase Hillshire Farm smoked sausage product at any Albertsons store near you. For a limited time, each product package has an activity badge sticker attached with summer recipe inspiration. To cook perfectly grilled vegetables (that are not turned into a soggy and mushy mess! ), cook vegetables over direct heat at a medium-high temperature. Also, remember to turn them over about halfway through. For summer squash and eggplant, be sure to cut them into 1/4-inch-thick lengthwise slices and brush with oil, then cook until you see even grill marks (usually for about 6 minutes). For bell peppers, cut them into 2-inch-wide lengthwise slices and toss them in oil. Cook until the skin is blistered, for about 3-8 minutes (depending on the grill). For corn, first shuck and clean corn. Then place them on the grill, turning occasionally and cooking until it’s charred and fully cooked (usually for about 10 minutes). Or, you can grill corn that is still in husks, turning occasionally until it’s charred for about 10 – 12 minutes. Cook the corn on the preheated grill for about 10 minutes, turning occasionally. Slice the kernel off of the cob and transfer to a bowl. In a mixing bowl, add mayonnaise, garlic salt, chili powder, red hot sauce, lime juice and mix until well blended. 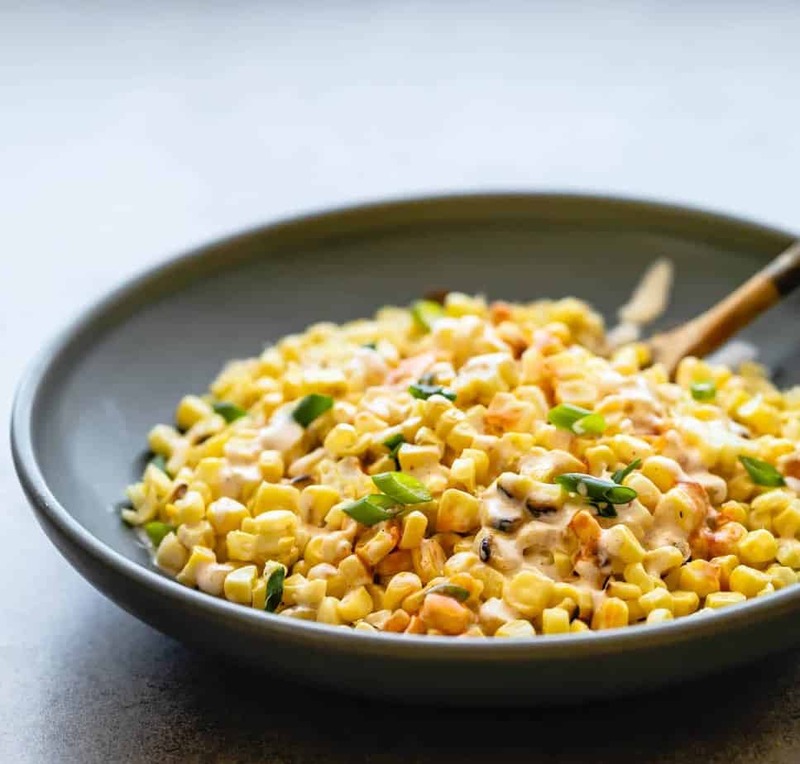 In a serving bowl, combine the warm corn kernels and use about 3 tablespoons sauce. Sprinkle with chopped green onions, set aside for about 15 minutes to allow flavors to blend in before serving. Preheat a grill for medium heat; lightly oil the surface. Need summer recipe inspiration? You can click here. To find an Albertsons location near you, click here.